Background: Since 2003, Rob has been employed as the CEO of WALSH Trust; an NGO (nongovernment organisation) providing a range of mental health support services in Auckland, New Zealand.He is Trustee of Platform Trust, a member of the NGO-Ministry of Health Working Group, and the NZ Mental Health Commission Reference Group. Rob began his mental health career in 1993. He holds tertiary qualifications in psychology and education and completed a Post Graduate Diploma in Management and Administration in 2001. In 2011 he completed a High Performance Leadership programme at Oxford University, United Kingdom. 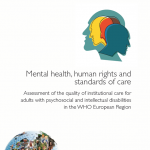 Rob has been published internationally; most recently a paper entitled “Clothing the Emperor” arguing the need for fundamental change in mental health service provision. 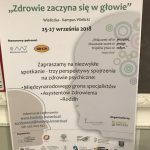 He has also presented at conferences in New Zealand, Australia, UK and Europe on topics ranging from ‘employment for people who experience mental illness’, to ‘mental health reform’. 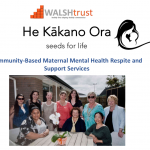 WALSH Trust is a non-government organisation located in Henderson, West Auckland. They are an independent charitable trust, with funding coming from contracts with the Ministries of Health and Social Development and the Department of Work & Income, and charitable donations from organisations and individuals. They offer support services that promote recovery for people whose lives have been affected by an experience of mental health that has been personally challenging or a barrier to participating in work or the community. They nurture hope and new possibilities through communicating people's worth and potential so clearly that they are inspired to see it in themselves. Residential Housing & Recovery seven houses across west and central Auckland with 39 clients receiving 24 hour support. Mobile Community Support to 155 people living in Waitakere in their own homes. EmploymentWorks! 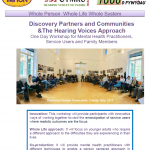 supported employment service placing and maintaining 100 people per year in open employment. independent ENDEAVOURS psycho-education service designed to address barriers to participation in the community, for 75 people. jigsaw Peer Support Service a team of people who live with their own experience of mental health issues, connecting with others who live with similar experiences.